Bulk Transport Laundry Truck for Hospital Linen. Bulk Transport Truck is manufactured by R&B Wire. This poly laundry truck is used to move bulk linen in hospitals and nursing homes. These linen transport trucks may also be used for recyclables or bagged waste. Constructed with heavy poly construction with a wall thickness of .225 inch nominal, this doubled walled bulk transport truck offers ultra tough duty. 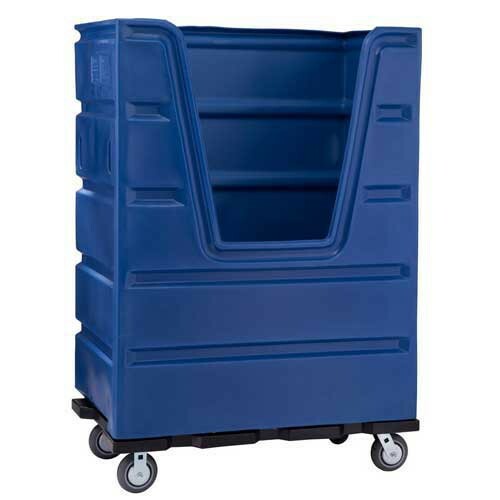 Equipped with 6-inch non-marking ball bearing caster wheels, this bulk linen truck easily rolls from room to room with a short turning radius for narrow hallways. Two caster wheels are fixed and 2 caster wheels swivel for smooth rolling. The bulk cargo capacity is 48 cubic feet with 48 x 29 x 68 inch capacity. This manufacturer's products and supplies are made in the USA. 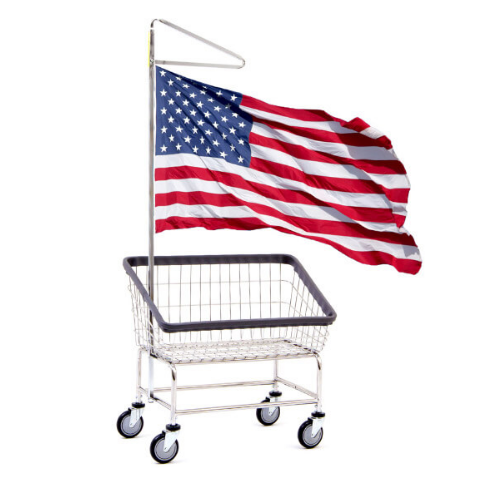 Vitality Medical carries the top selling R&B Wire products including the Economy Hamper Stand, the Easy Access Hamper Stand, Laundry Carts, and Privacy Screen Curtains. Large ball-bearing caster wheels for smooth rolling and tight turns. Non-marking wheels leaves floors clean. Transport linen, waste or recyclables. Offers many years of service. Curtain Panel Dimensions: 72 H x 90 L Inch. Traditional Color Options: White, Gray, Red, Green, Lime Green, Blue, Navy Blue, Orange, Yellow, Black. Rotostone Color Options: Ash Granite, Brazilian Terracotta, Sand Stone, Verde Granite. Poly Construction Thickness: 0.225 Inch. Total Caster Weight Capacity: 2000 lbs.